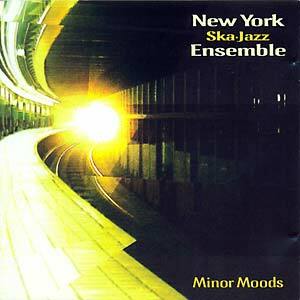 Brixton Records presents a reissue of The New York Ska-Jazz Ensemble's Minor Moods, originally issued in 2002. 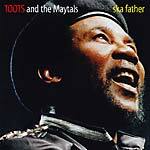 Originally ska music was strongly related to jazz, though some of the successive progression paths leaded to antipodean styles (i.e. ska-punk, oi!). But on the Jamaican side of things the original bond has never broken and ska-jazz performers have reached extraordinary technical heights. The New York Ska-Jazz Ensemble is a super-band formed by eight musicians coming from legendary ska groups well known around the globe (The Skatalites, The Toasters and Scofflaws). NYSJE proclaims with pride the connection between jazz and original ska but also adding today's attitude and skills. 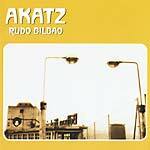 Minor Moods was recorded in New York's Studio 900 except for the last track, "Buttah", recorded live in Geneva (Switzerland) in July 2002. 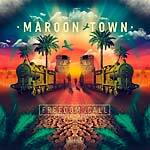 Most of the tracks are instrumentals but the album also includes two vocal tracks, "Your Love For Me" and "Cecilia", the latter a cover of Paul Simon's classic delivered in reggae manner. All tracks are vitalist, lively and flawlessly executed. Rhythm is the lead but the melodies are catchy and immediate, being the themes expanded on by the various instruments in a jazz pattern. Tracks are composed by Peter Truffa (two tracks, piano), Freddie Reiter (four tracks, sax) and Andy Stack (three tracks, guitar) with the addition of cover versions of originals by Miles Davis ("Nardis"), Thelonious Monk ("Bemsha Swing") plus the above-mentioned Paul Simon song and a composition by D. James ("Buttah"). Minor Moods is a magnificent album radiating optimism that ska enthusiasts will enjoy as much as reggae and jazz aficionados. This is a true gem to delight in for a long time.